"With perfect diction and vocal control, Josie Duncan is a real story-teller as well as a fantastic folk singer." - The Herald. 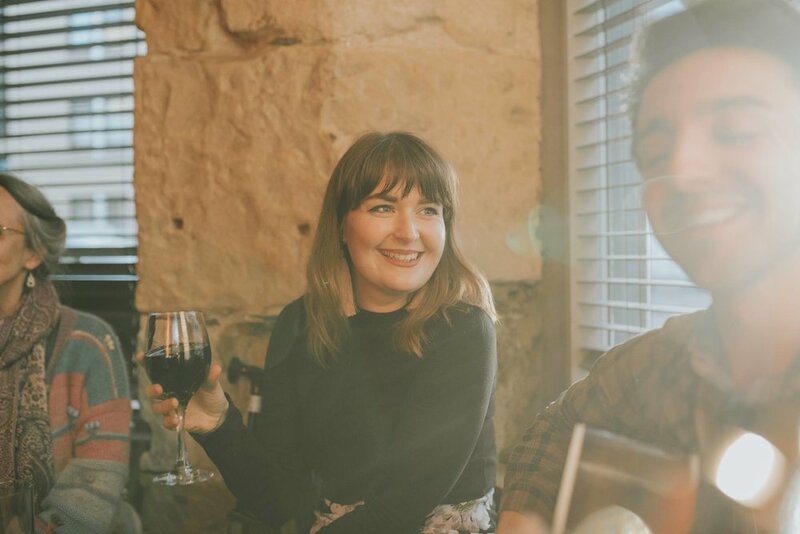 Since joining forces in 2016, BBC Radio 2 Young Folk Award Winners Josie Duncan and Pablo Lafuente have taken the Folk scene by storm, quickly becoming an 'in demand' live act at festivals and venues across the UK and internationally. In their time together they’ve delighted the audiences of BBC Radio 2, BBC Radio Scotland, Celtic Connections Festival, Sofar sessions, and a host of venues across Scotland. INYAL are Conal McDonagh, Owen Sinclair, Josie Duncan, Robbie Greig and Hamish Macleod. Coming together from five different corners of Scotland, Inyal are as influenced by the traditional music of their native land as they are its eclectic underground scene. Their sound is captivating, layering subtle electronics and twisted beats with intricate melodies and enchanting Gaelic song. Having found it's home in Dukes Bar a year ago, and running the second Tuesday of every month, Josie's song session is an informal gathering of some of Glasgow's finest singing and performing talent. Welcoming everything from traditional ballads to Fleetwood Mac covers, the session encourages even the most reluctant performers to share a song and contribute to the warm, relaxed atmosphere. Bell Rock Ceilidh Band features some of Scotland's newest talent, who between them have extensive experience performing in both ceilidh and concert settings. The band are available for a wide variety of functions, including ceilidhs, weddings and corporate events.